Dried oregano, basil, and a host of other herbal leaves—sounds yummy, who’s making the pasta? You might ask. But, when you take the contents out of the brightly colored, cartoon ordained plastic bag—slightly larger than a bag of Skittles—you might be asking yourself where this seemingly natural concoction came from and what kind of palate it is meant to please. The answer can be most upsetting, in the literal and figurative sense. Think of vomiting, renal failure, paranoia, seizures, heart failure, hallucinations and even death—all among the potential outcomes of smoking K2, a rising star in the designer drug scene. Also dubbed spice, green giant, wicked X skunk, and moon rocks, this mix of herbal plants feigning a healthy, natural complement to a soup or sauce is actually coated with anything but natural ingredients. The leafy blend, roughly resembling marijuana, is laced with synthetic chemicals. Those who smoke it compare its sensations to those achieved through THC, the primary agent responsible for marijuana’s high. These chemicals are transmitted to brain receptors, just as cannabis is received. But, the bodily and mental effects from K2 pose much greater risk than marijuana, despite the fact that K2 or spice can be purchased at many head shops and convenience stores. Its manufacturers, audacious enough to label the product as “natural,” often juggle the chemical ingredients to avoid using those that conflict with state or federal laws. It thereby gains aegis to store shelves and counters, according to the drug addiction help site, DrugAbuse.com. Besides the aforementioned side effects, K2 is known to induce tremors, loss of consciousness, disorientation, anxiety, high blood pressure, and myocardial ischemia, as well as psychotic and violent behavior. Because of its easy access and affordability (cheaper than pot), K2 preys on those who hover around the poverty line or individuals living in the inner city, according to the National Institute on Drug Abuse (NIDA). Its use is noticeably predominant among those living in shelters or group homes, as well as those with mental illness. It equally preys on the young across the entire demographic spectrum. In fact, K2 rates as the No. 2 preference among illicit drugs used by high school seniors, according to NIDA. The State of New York reported in 2015 that the number of hospital and emergency room visits caused by K2’s side effects increased tenfold when compared to the number in 2014 over the same three-month period. One of the most menacing stats about K2’s physiological impacts concerns its chemical agents’ staying power. It lingers in the brain’s receptors longer than most other recreational drugs, such as pot. In fact, DrugAbuse.com claims its binding power is up to 1,000 times greater than most other popular drugs. Its endurance is partly related to its void of cannabidial, a natural ingredient in cannabis. Cannabidial serves as an indigenous buffer that severely limits the psychotic symptoms produced by cannabis. The absence of cannabidial in spice or K2 allows the chemicals to linger in the brain. How Can K2 Use Be Mitigated? The campaign to keep K2 from users is being fought on various fronts. As mentioned, federal laws ban the sale, purchase, and distribution of a lot of the chemicals found in K2. As also previously stated, its makers tweak the chemical content and compositions just enough to elude the definition as it appears in the law. As a result, users never really know which chemicals they are inhaling from one pack to another. The best defense actually lies in the social fabric of our society. School and community counselors, mental illness professionals, social workers, local governments, law enforcement, businesses, non-profits, and other agencies or organizations in touch with the marginal sectors of our society pose the best lines of defense when it comes to K2. In fact, just over the past year, New York City Mayor Bill de Blasio reported an 85 percent decline in emergency room visits spawned by the use of K2 in the Big Apple. The city invoked a strategy across multiple agencies to keep K2 off the store shelves. Enforcement agencies seized thousands of K2 packets from store shelves and issued violations for inadequate and false labeling. 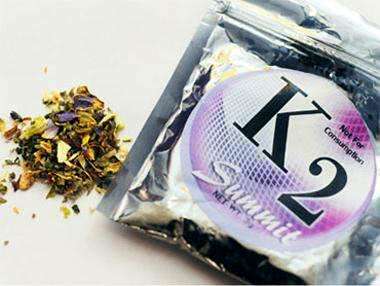 A public awareness campaign in the city, spearheaded by the Department of Consumer Affairs and the Health Department, informed the public about the dangers of using K2. Literature dotted bus shelters, local merchants’ windows, billboards, phone kiosks and other areas receiving high foot traffic. The city flooded merchants with mailings about the drug, the laws prohibiting its sale, and the penalties for its distribution or sale in general. Additionally, the city government sponsored a half-day K2 summit last fall that harkened emergency responders, social service workers, law enforcement leaders, non-profit organizations, and judicial office holders throughout the city. They were versed on best practices for discouraging the use and distribution of K2. Mayor De Blasio and city council heads credited these collective campaigns and measures with stemming the tide of emergency room patients afflicted by symptoms of the hideous yet alluring drug of many monikers. As a result, New York City is being used as a model for other states and cities, if not the nation, in the effort to deter the proliferation of K2. Equally, it is being watched for any mistakes it may commit in such efforts, including police raids that come up empty-handed.